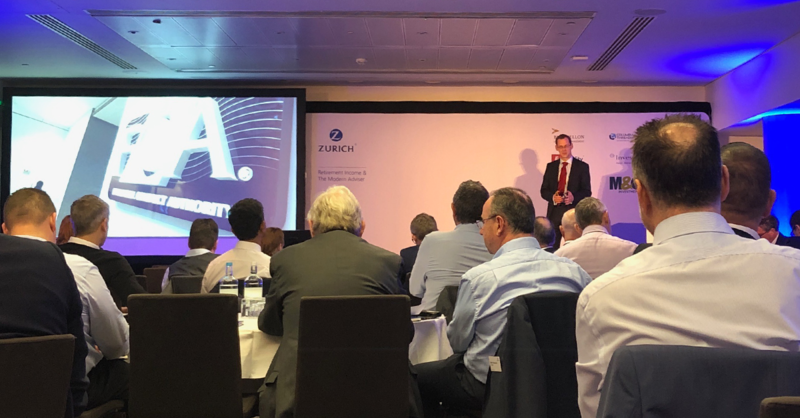 I headed to the Zurich Wealth Seminars at the beginning of March to talk about how the investment pathways will shape strategies. If you missed my session – or just want to relive it all over again – here it is. A brief background: what’s the FCA done? At the end of January, the FCA launched their latest consultation paper, as part of the Retirement Outcomes Review. You can read a review of it here. Following the introduction of pensions freedoms, the FCA worried that many consumers may lose out on retirement income. This could be through poor decisions, like having pension pots inappropriately invested in cash, or because of choosing investment options or income withdrawals without understanding the long-term implications. So, the FCA proposes that a set of four investment pathways will help non-advised consumers make better decisions about their money. While the investment pathways mainly apply to non-advised customers, everyone in the industry needs to be aware of them. Insurance and pension providers will change their propositions to match the pathways, then advisers will get customers through who know about these products and objectives. So, it’s important to recognise what your opportunity is and why your strategy should change. It’s like in Goldilocks and the Three Bears. Goldilocks was adamant her choice was right – why would the older bears want sweet or sour porridge? Why would they want super hard or really soft beds? Surely, the only right choices in that household were those of Goldilocks. Which is why if you don’t change your strategies to align with the investment pathways, you could end up a little like Goldilocks: unable to distinguish between what’s right for you versus what’s right for your customers. Keen to make up for her previous misdemeanours, Goldilocks is on hand to help the ever-expanding Bear family make some tough decisions about their porridge choices. She ponders the four bowls in front of her (Baby Bear is no longer the youngest). For Goldilocks, it makes sense to eat a little of the porridge now, set some aside to snack on later and leave the rest to marinate. But she knows the Bears don’t think that way. And in all honesty, they’re bears – they wouldn’t get it anyway. She needs to keep it simple and meet their differing objectives. Mummy Bear is out for the day, so she won’t want to eat any of her porridge in the next five hours. Baby Bear will scream and shout if his porridge runs out, so Goldilocks ensures he has a guaranteed amount to eat over the next five hours. Teenage Bear hasn’t even woken up yet, so will snack on his over the next five hours once he’s up. And Daddy Bear is starving and will eat all of his straight away. What Goldilocks thought to be right for her – splitting the pots of porridge – wouldn’t have been right for the Bears. And it’s the same with non-advised customers: the research has shown that without support, they don’t understand it. This is where advisers can add real value. They can explain the pathways, the possible investment solutions, and what customers should do. Like Goldilocks, they can split pots for their customers. But for the non-advised, this just isn’t practical. The FCA’s user testing found that when people were given the option of spreading money across more than one solution, it negatively impacted the number of people making informed – and right – choices. Groups asked to split their pot had the lowest completion rates: around 76% of people in one group, and 74% in the other. The user testing also showed that when people were exposed to different scenarios and were allowed to play around with various options, their understanding increased. 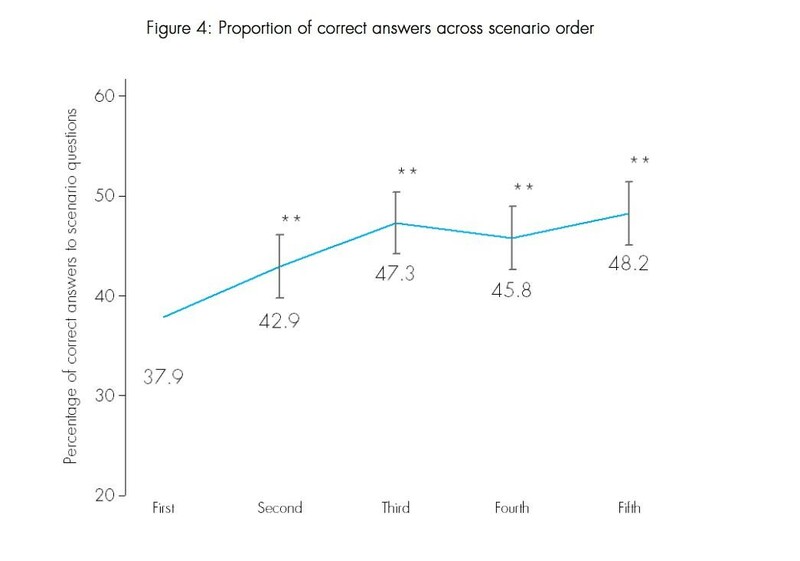 Once people had completed a fifth example scenario, they were getting the right answers more often. In a nutshell: the more scenarios people completed, the greater their understanding. We found similar results in our own user testing. When we launched Pensions Freedom Planner, we tested people on their ability to enter their data, understand their forecast and understand the options available to them. At first, there was a 100% fail rate. So, we added more features: an introduction and explanation (which became 3-in-1), refined data entry requirements, a learning area and simplified wording. This resulted in 90% pass rates. Use this research to add more value to your customer journey and help them make better informed decisions. 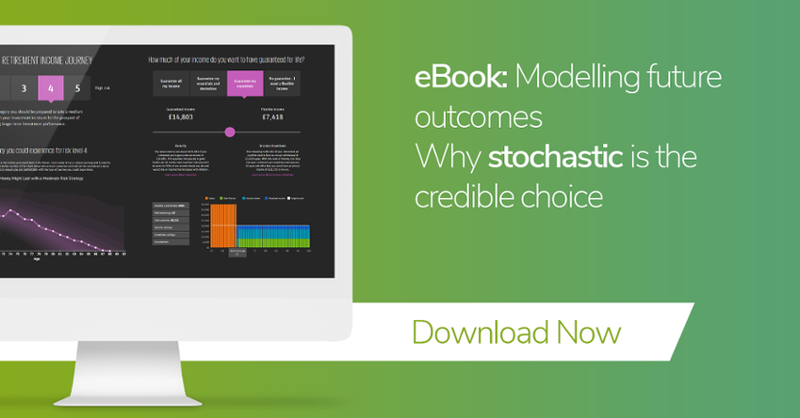 Break down options for your customers and take them on a journey – don’t open with complex options and complicated graphs. It isn’t as effective as giving people clear explanations from the start. Are we becoming dangerously risk averse? Another key point from the FCA is the levels of cash being used for long-term investments. 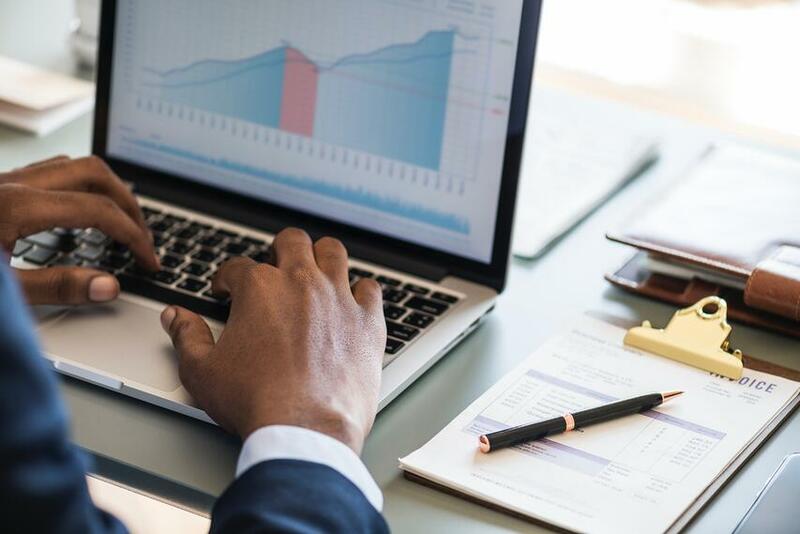 This effectively means that investors are dangerously risk averse, to the point where they could end up considerably worse off in the longer term. 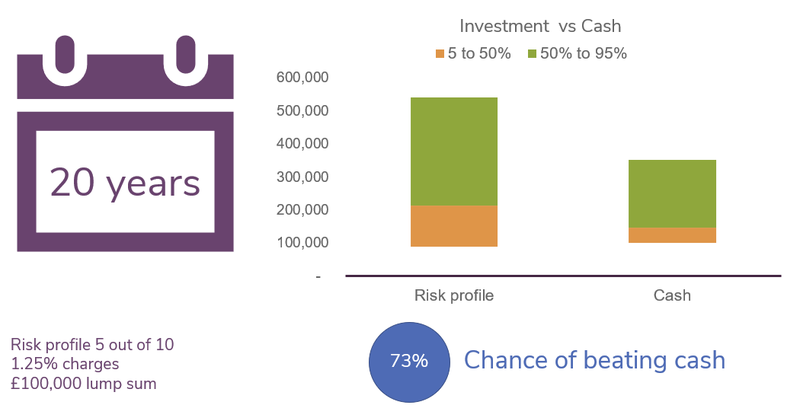 So the concern is that a worryingly high number of investors are being risky – by not being risky enough. Drawdown is upside-down investing. Whatever you do before retirement – while you accumulate – is the complete opposite afterwards. And that’s why investors often need to take more risk: they need to make this money work as hard as it can, as it needs to last for a potentially undefinable amount of time. I don’t need to tell you, but if a customer is investing for the long-term, cash is bad. It’s not fit for purpose. And this is where the FCA’s concerns are. 33% of non-advised consumers are in cash in their untouched part of the pension pot. In April 2020, pension freedom will have been running for five years, which is the term the FCA has set out for each pathway. If people were in cash back then and are still in cash in 2020, the industry could face a big problem. Let’s look at this example, using Investment Planner. Over a four-year term, the difference is negligible (see figure one). But when we move it up to a 20-year term – that’s a huge loss (see figure two). It’s why customers now need a different strategy for cash: a long-term strategy and a short-term plan. Yet the only way to illustrate realistic risk and reward is by showing the range of possible future returns. And using a stochastic forecast is vital, especially when it comes to the effect of inflation on your customers’ investments. You can use this to highlight why cash is good in certain situations, but bad in others. There are several ways that investment pathways will change your investment strategies. You’ll need to align your propositions and solutions with the four options, and guide customers through each. Figure three has some example strategies you could use, to fit each of the pathways. As well as shaping strategies, the FCA’s testing highlights another area of improvement: communications. 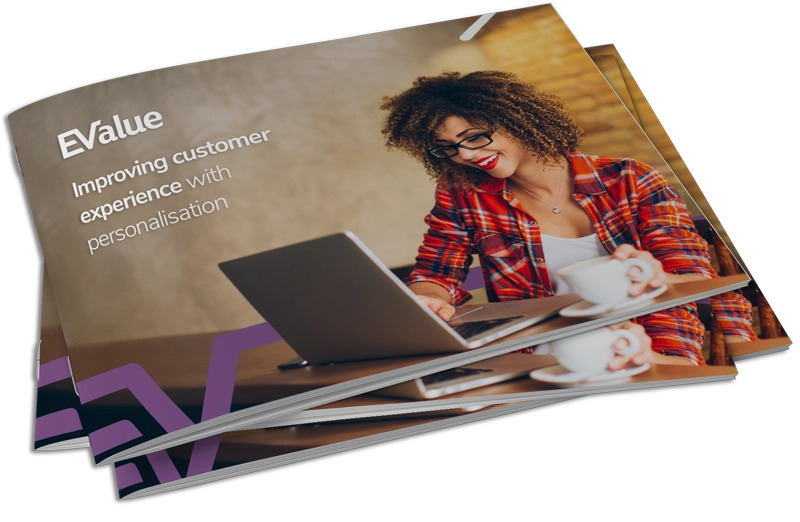 Improving the level and quality of comms you send out can vastly improve customer experience and add value to your relationships. Explore different ways of providing information: would your clients prefer a long report, or a short video? Keeping everything as simple as you possibly can will help make the investment pathways a smooth ride. 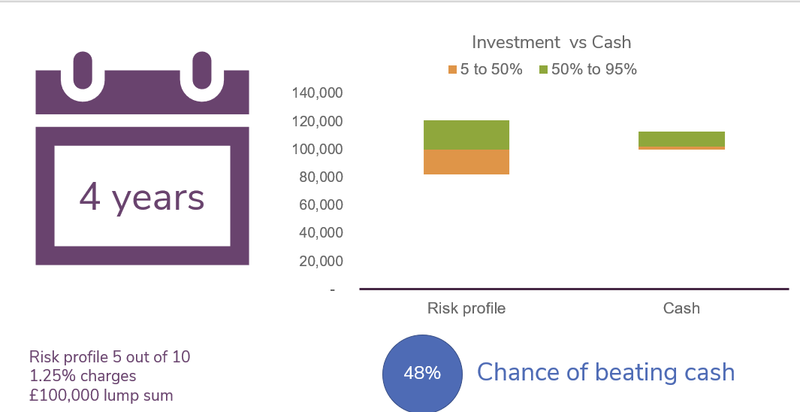 For the majority of customers, advisers will need to take the investment pathways into account and then fit them into their needs and objectives.This may mean splitting pots across multiple objectives and using a variety of terms. But overall, it will require more sophisticated strategies for investment in drawdown. And then you’ll need to explain to your customers – in the right way – how your strategy fits into the pathways they’ve been told about.